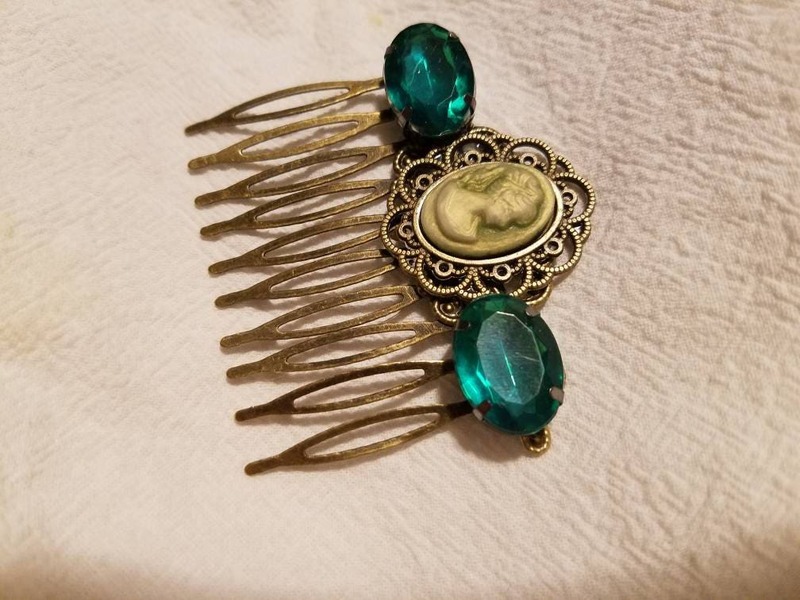 This beaded hair comb is small but beautiful. It is 2 inches long, and 2 inches wide. 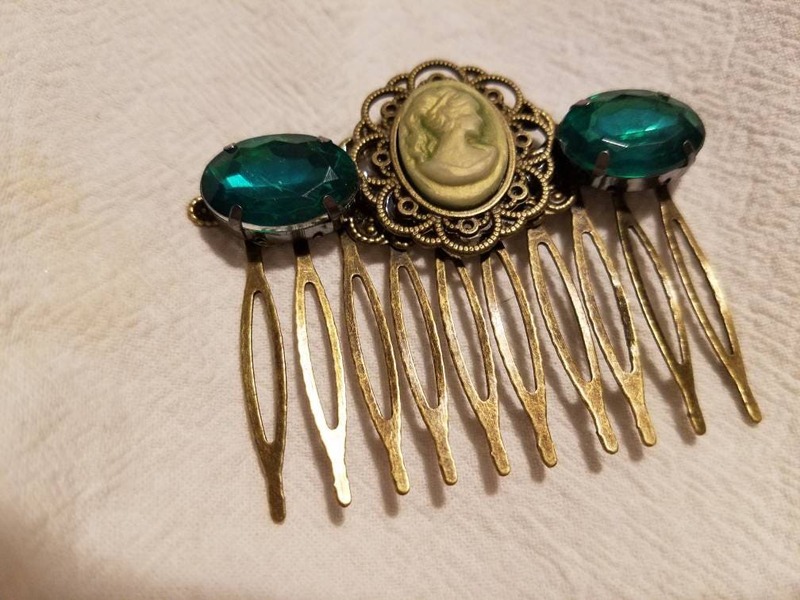 It is embelished with emerald facited stones and a sage green cameo. It is one of a kind inspired by italian renaissance and Victorian portraits. I try to make jewlery fit for a queen.